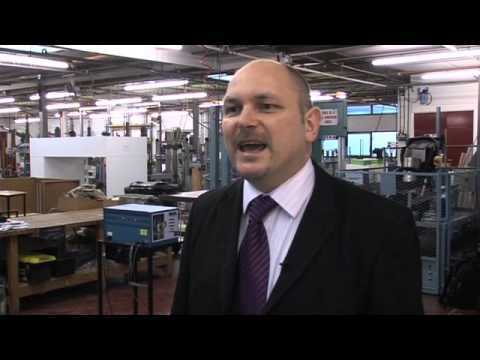 Kaydian is one of the UK’s largest upholstered bedstead suppliers. 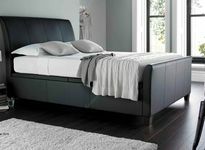 With its impressive collection of upholstered bed frames and ottoman beds ranging from traditional through to contemporary designs, Kaydian bed frames come in a range of finishes, including leather, faux leather and fabric covers. Manufactured to British Standards 5852, all Kaydian beds are made from premium materials and are certified by internationally recognised authorities. Based in Derbyshire. England, Kaydian Beds is a member of the ETI (Ethical Trading Initiative) and has been audited for compliance to these voluntary measures for fair and ethical trade. Kaydian bed frames are manufactured to a high specification using a solid hardwood mix construction from plantation timbers and boards and upholstered with high density, high resilient foams and fibres. Manufacturing ottman beds, sleigh style bedsteads and TV beds, the Kaydian Maximus 5' TV Bed is a stylish and modern multi-media TV bed with amazing 3 directional HD sound bar. 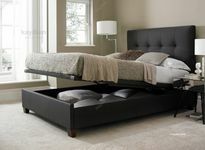 This sprung latted TV bed frame is available in two finishes - black bonded textured leather or grey fabric. At Dalzell’s we provide Free Delivery of your new Kaydian Bed throughout Northern Ireland and Counties Dublin, Louth & Monaghan. Delivery is also available at competitive rates throughout the rest of Ireland. Innovative and highly attractive, the Kaydian Super King TV Bed has been designed with an Ultra Slim Foot Board that encases the TV storage. A Remote Control Mechanised System is used for viewing the TV, and this bed has the capacity to house up to a 40" LCD or 42 LED TV. The Easy Access Compartment within the side rail offers ample storage for media accessories e.g. remote control, smartphones and the like. The Kaydian Bamburgh 5' Bed is an attractive sleigh style bed with a curved head and footboard and beautifully shaped hardwood feet. This leather bed frame is available in three sizes. The Kaydian Accent 4' 6" Ottoman Bed features a Button-backed Design Headend and is available in a Choice of Oatmeal or Slate Fabric (100% Polyester). Manufactured with a New Lift-up System, this ottoman bed incorporates a Spacious Floating Floor Storage Area with Elegant Hardwood Feet. 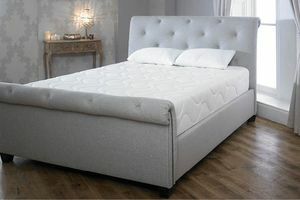 Kaydian beds are available to view online or try before you buy in-store at Dalzell's. We carry stock and with our rapid Free Delivery Service throughout Northern Ireland and Counties Dublin, Louth & Monaghan, you'll not have to wait long to enjoy your new Kaydian Bedstead. Delivery is also available at competitive rates throughout the rest of Ireland, simply ask us for details. With additional discounts for Multibuy, and our Price Promise, you can be sure you're getting a great deal because we appreciate your business! Call, Email or Visit Us In-store today.